One of the coolest items we have available in our Makerspace is our 3D printer. Both patrons and staff use it to print everything from keychains to fidget spinners to glow in the dark octopuses. Recently, I found a really cool project that I wanted to try. 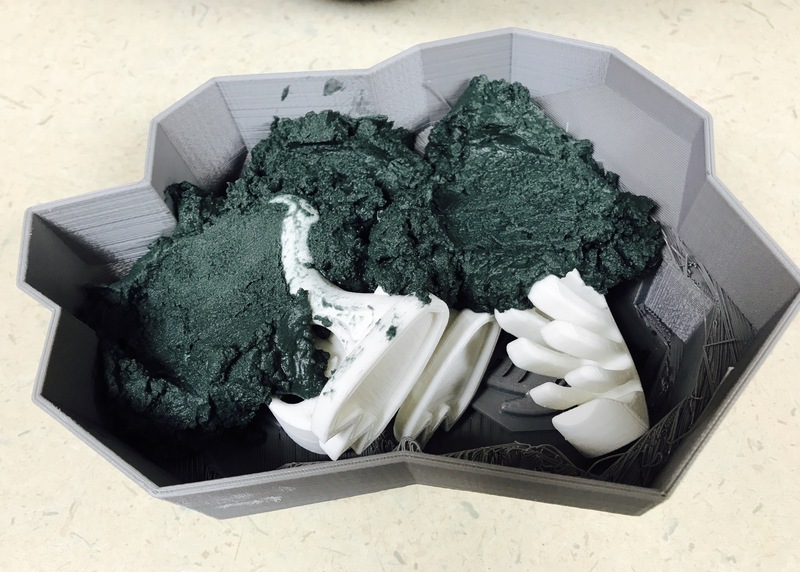 Thingiverse user DannySanchez designed a Dino-Hunt Fossil Digging Game that looked like it would be perfect for MAPS. The set includes a four piece dinosaur skeleton, three fossils, a rock mold, and a hammer and chisel. I printed the pieces over a few weeks. When I had them all done, I put the skeleton pieces and fossils inside the rock mold and filled it with a mixture of baking soda, water, and food coloring. 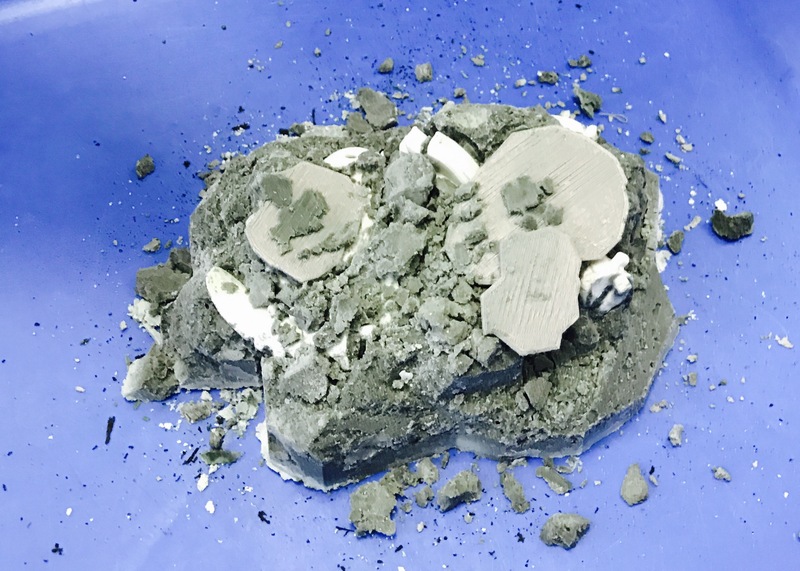 I let it dry overnight, and the next day at MAPS, I carefully loosened and removed the rock mold. 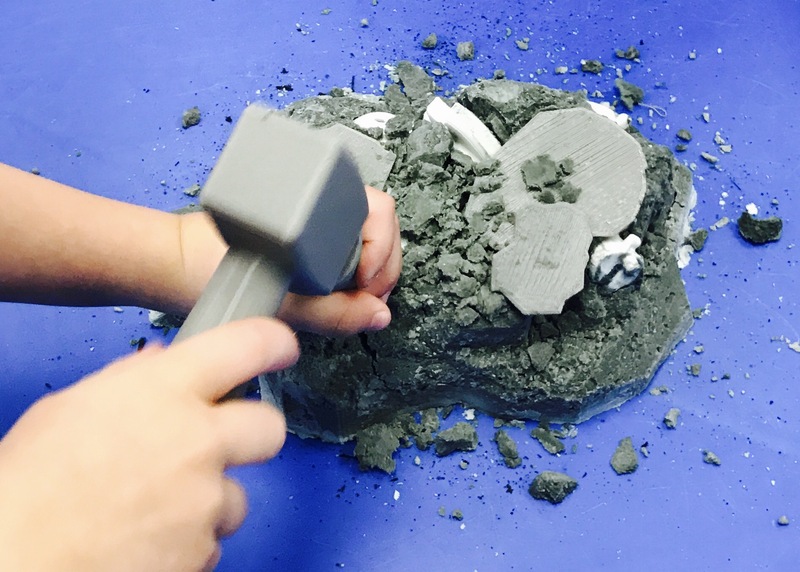 I put the solidified rock in our small water table and let the kids use the hammer and chisel to knock it open. They had a blast! 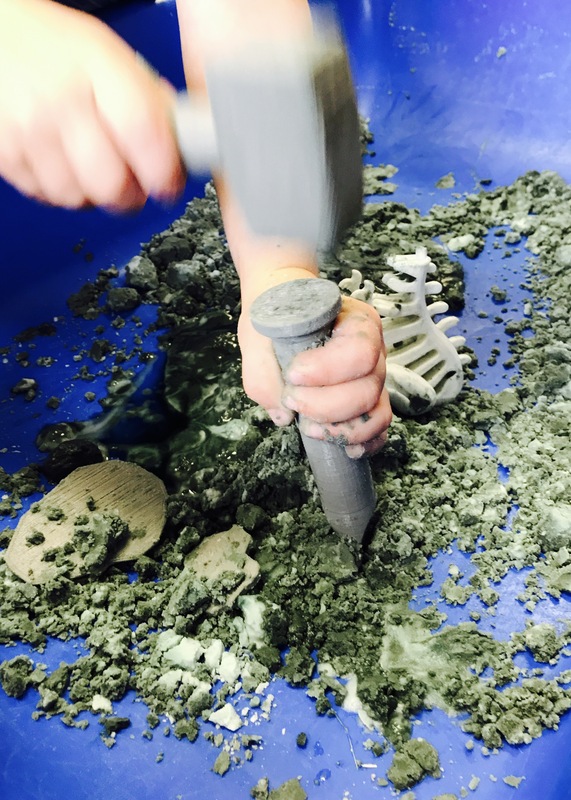 They learned how to use the hammer to hit the chisel, they got to feel the texture of the baking soda “soil,” they washed off the bones and fossils, and they assembled (and then disassembled) the skeleton. 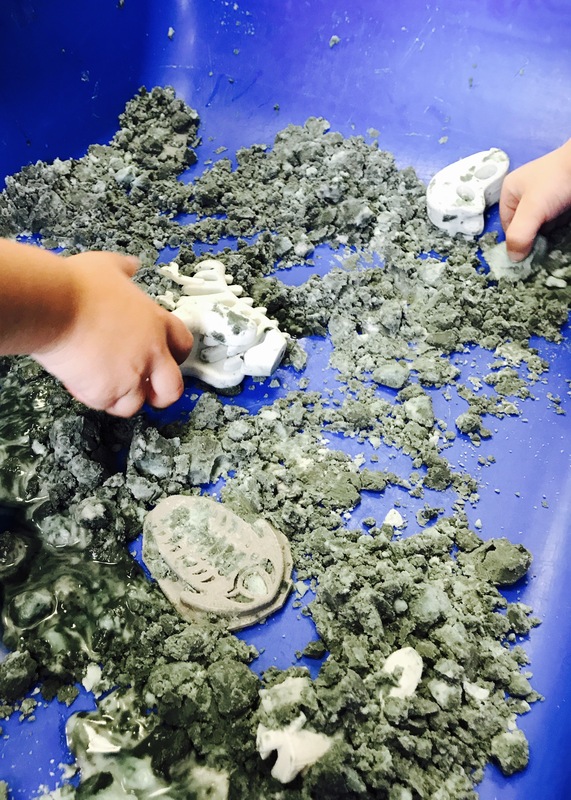 About halfway through our playtime, I added just a little bit of water to the mixture, so they were able to move it around, mold it, and rebury everything. When I repeat this activity, I plan to let the baking soda and water mixture dry for 24 hours. It hadn’t quite set after only 12 or so hours. If you didn’t want to use the baking soda and water mixture, kinetic sand also works wonderfully. Regular sand mixed with water would be fun as well. If you don’t have access to a 3D printer, you can still have a dino hunt. Any container will work for a mold, and you can bury toy dinosaurs. You could even make bones and fossils out of salt dough or polymer clay. Try it out!